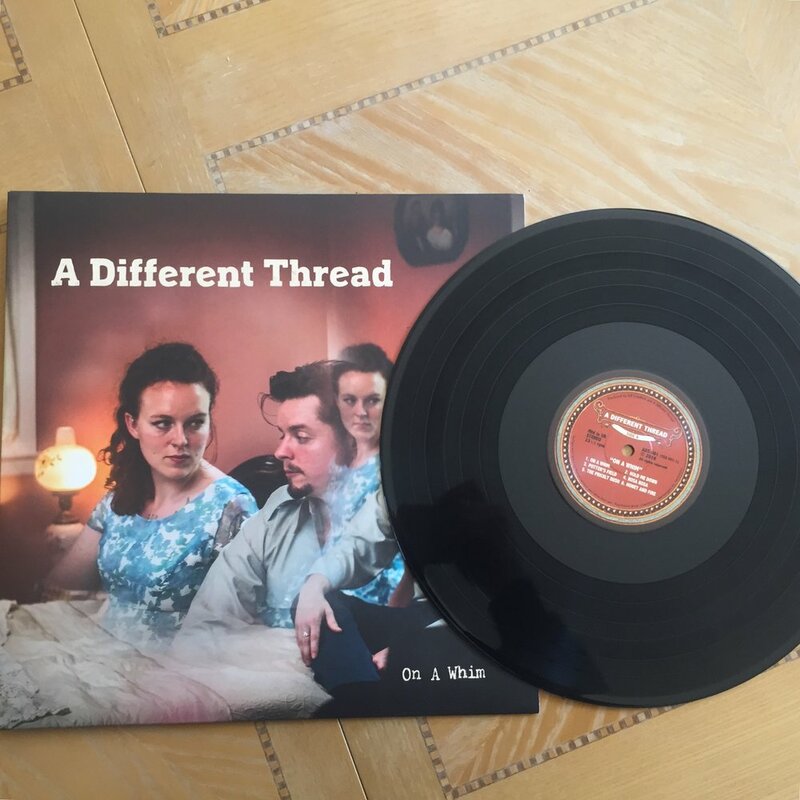 We have set a goal this summer to get our vinyls into some record stores in the UK, so that our music will be accessible here while we are in the USA and beyond. We are putting together a database of independent record stores so if you have any to suggest please let us know! My father has an extensive vinyl collection, from Rocky Horror Picture Show to Cab Calloway, from Queen to Laurie Anderson, to National Lampoon’s Radio Dinner, and everything in between. On a Saturday afternoon you’d find him in the front room sitting in his red leather chair listening to records, his feet up, his eyes closed. I was the only kid quiet enough (sometimes) or maybe even interested enough, to sit in there with him, drawing in the corner, letting the music sweep over me. Aside from the numerous Christmas records that Robert’s dad has, and more Jazz/Classical, our fathers’ record collections have a lot of crossover. We talk about how The Who, The Zombies, and other classic rock has had its own influence on us. Growing up I thought for a long time that my mom wasn’t into music, she couldn’t even tell you what was Pink Floyd and what was Prince. I think it was through selling her pottery at local music festivals that she started getting into music. Local music. Buying the CD from the artists themselves, talking with them after their set. she had more than just a connection to the music, she had a connection to the musicians themselves. Human to human, heart to heart. Robert’s mother will often say she’s “not that into music” and “The Beatles sing from their noses” and “I’m not bothered” but there have been nights where we sit and listen to music as a family, sharing songs back and forth, and I’ve seen her singing along. And when the song is an upbeat one, she’s up dancing, and I can’t help but join in. Our music libraries grew from childhood. Expanding in directions separate from our parents’ interests. Introducing new music to them, and vice versa. As a teenager you could find me at Schoolkids Records on Franklin Street in Chapel hill (though I was homeschooled myself, and it was, admittedly CDs I was after) more often than not in search of a local music, The B-Sides (later they changed to The Never), Shannon O’Connor, Stranger Spirits, Midtown Dickens, The Future King’s of Nowhere, Mandolin Orange, The Carolina Chocolate Drops, there was so much good music coming out of North Carolina, heck there still is! And Schoolkids is still there, in Chapel Hill and Raleigh (the Durham branch closed a while back). We need stores like these!m, yet more and more are closing! Today is National Record Store day, go out and show your local record stores some loving! Not just today, but whenever you are able! Shop local, support local music! As independent musicians working to promote ourselves and produce our own music, record stores like these are essential. You can follow us on Spotify, subscribe to our YouTube, or add us to your library on Apple Music, etc. but more than that, we make these albums as physical forms, art and music, something to cherish. So when you like a local band, buy their music, talk to them after the show, and if the music takes you, then dance!